In December 1940 Airspeed received Air Ministry Specification X.26/40, which called for a troop carrying glider, and this was to have almost doubled the capacity of the Waco GC-4A Hadrian which was designed and developed in America for the US Army during 1941. Following acceptance of Airspeeds design proposal, the Air Ministry ordered seven prototypes (DG597, DG603, DG609, DK346, DK349, DK353, and DK358). Two of these when fabricated were assembled were assembled at Fairey’s works, these being the flight test examples. The remaining five were assembled at Airspeeds factory at Portsmouth, and these were for use by the British Army to carry out trials in the loading and unloading of typical equipment that they would be expected to carry. By comparison with the design for a contemporary fighter or bomber aircraft, one would expect that of the Horsa to be simple. This would have been true if it had not been an essential requirement that the glider must be composed of a number of easily assembled units, instead of being built conventionally on a production line. Thus it consisted of thirty separate assemblies built mainly by woodworking subcontractors, such as furniture manufacturers. 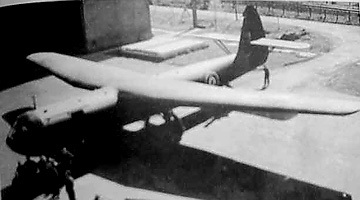 These were subsequently assembled and test flown at RAF Maintenance Units, with some 3000 of these gliders being constructed in this way. Only about 700 of all the aircraft built were manufactured, assembled and test flown in one place, and these originated from Airspeed at their Christchurch, Hants factory. 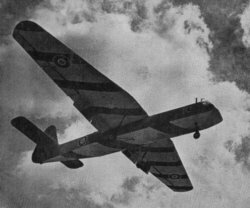 Produced simultaneously with the A.S.51, which became designated Horsa I, was the A.S.58 with a hinged nose for the direct loading of vehicles and guns, and this was designated Horsa II. Almost entirely of wood construction, the cantilever high-set wing was built in three sections, had ailerons, split trailing edge flaps and underwing dive brakes. The fuselage was also in three sections and provided accommodation for two pilots and a maximum of 25 troops. Landing gear was of the fixed tricycle type and there was provision to jettison the main units for landing on very rough areas, when the nosewheel and sprung landing skid on the underfuselage centreline had to suffice. The A.S.58 had twin nosewheels. 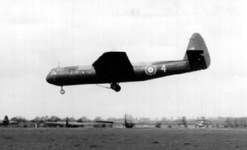 The first prototype, towed by an Armstrong Whitworth Whitley, was flown from Fairey’s Great West Aerodrome on 12th September 1941 and soon after this date the Horsa began to enter service with the RAF, towed for operational purposes by powered aircraft of RAF Transport Command. They were used to carry men and equipment of the Air Landing Brigades of the 1st and 6th Airborne Divisions, piloted by men of the British Army’s Glider Pilot Regiment but also, as and when was necessary, by RAF pilots. The first significant operational use of the Horsa was on 10th July 1943 when 27 survivors of 30 air-towed from Britain to North Africa were deployed during the invasion of Sicily. Horsas subsequently played an important part of the Normandy invasion of June 1944, operated by the RAF and USAAF, in the invasion of Southern France in August 1944, at Arnhem in September 1944 and during the Rhine crossing in March 1945. It is impossible to quote accurate production figures for the Horsa. These comprise 470 Mk I and 225 Mk II built by Airspeed plus the original seven prototypes; 300 Mk I’s and 65 Mk II’s by the Austin Motor Company; and 1,641 Mk I’s and 1,271 Mk II’s by subcontractors in the woodworking industry, the majority produced by the furniture manufacturer Harris Lebus. This amounts to a grand total of 3,799. 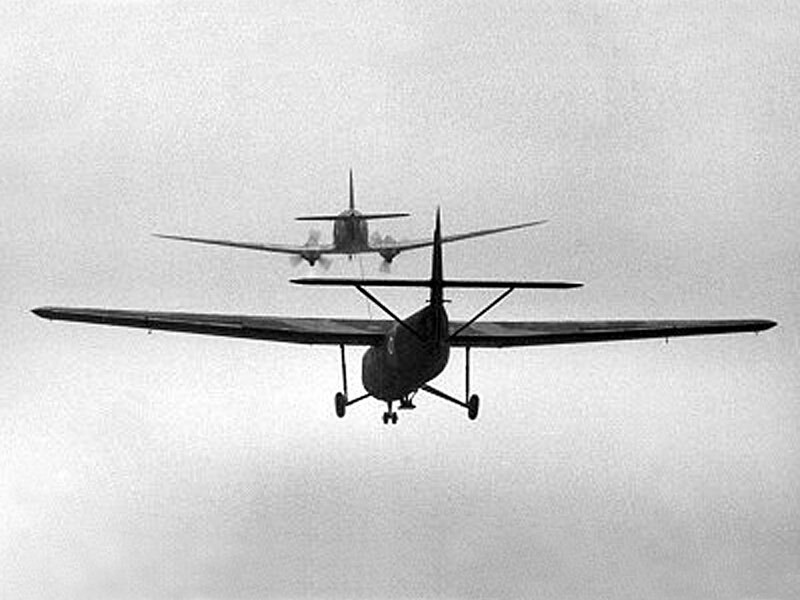 Troop and cargo combat glider. Maximum towing speed 150mph (241km/h); normal gliding speed 100mph (161km/h). 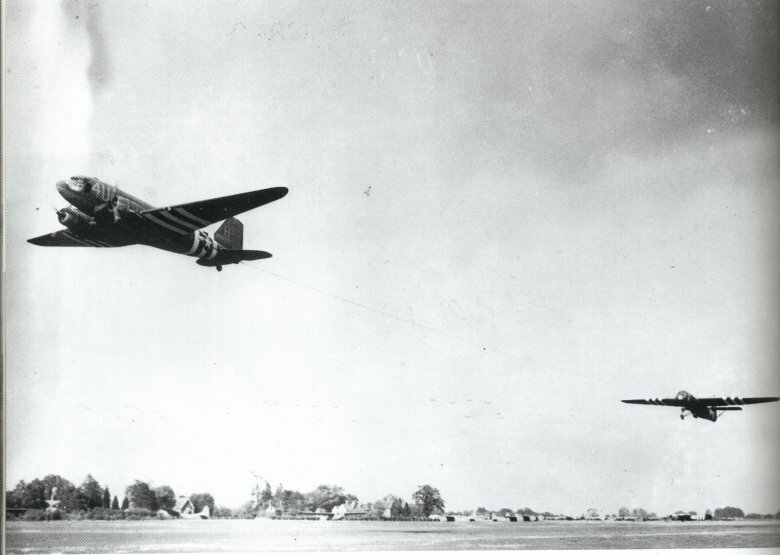 Empty 8,370lb (3797kg); maximum take-off (Horsa I) 15,500lb (7031kg), (Horsa II) 15,750lb (7144kg). Built as part of an order for 400 aircraft from Harris Lebus and group factories. The aircraft became maintenance airframe 5079M. Built as part of an order for 750 aircraft from Harris Lebus, although only 636 completed. Aircraft was possibly transferred to the USAAF. Built as part of an order for 325 aircraft from Harris Lebus and group factories. Built as part of an order for 600 aircraft from Harris Lebus and group factories. Built as part of an order for 206 aircraft from Harris Lebus and group factories.